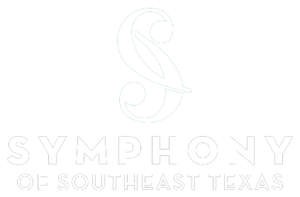 The Symphony of Southeast Texas is strongly committed to the education and development of our area students through the arts. This year, the Symphony will host an educational concert for all 5th graders where students will learn the relationship of music and academic elements and how they relate to Language Arts and Social Studies. 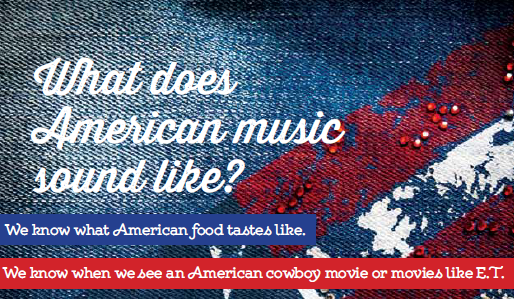 The SOST invites you and your students to a FREE concert exploring all about American Music. 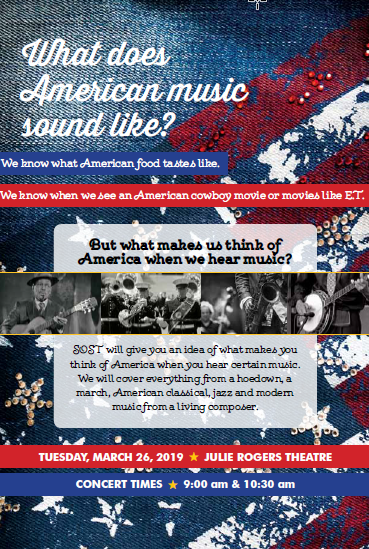 The 45-minute program will cover everything from a hoedown, a march, American classical, jazz, and modern music from a living composer. Your students will learn how songs teach us historical stories, and how we remember images just as if we read words in a book. This program is dedicated to fifth grade students utilizing many of the key elements included in STARR testing. We hope you’ll take a morning adventure and join us by completing the form below. There will be 2 performances 9:00 a.m. or 10:30 a.m.